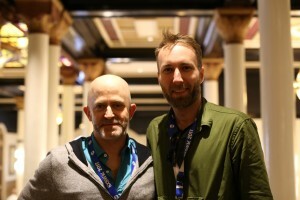 I met with director Erik Ljung (pronounced “Young” or, as he put it, “Jung” as in Carl Jung … the “L” is silent), on Sunday, March 12, 2017, at SXSW, to discuss his feature-documentary debut, The Blood Is at the Doorstep (which I also reviewed), about the 2014 police shooting of Dontre Hamilton in Milwaukee, Wisconsin. 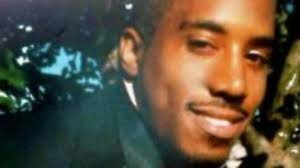 Hamilton, a young African-American man suffering from schizophrenia, was shot 14 times by a white officer who reacted far too quickly and violently to a simple miscommunication. Both bleak and hopeful, the film focuses on Hamilton’s mother and brother, the community that supports them, and the Milwaukee Police Department, allowing a variety of points of view to mix in a thoughtful stew of even-handed storytelling. Here is a condensed digest of our conversation. Hammer to Nail: So I want to start with your personal connection to the documentary. Dontre Hamilton was killed just a mile from your home. Talk about your reaction to the killing, and your journey from there to making the film. Erik Ljung: I work on a lot of video-journalism documentaries, and most of my work is on the road, so when this happened, just a mile from my house, both I and the entire Milwaukee community…this was the major news story in Milwaukee for three years, so when this happened, with that amount of shots…Dontre was not suspected of committing a crime, he was just resting in the park…it just didn’t make any sense. And so I’d been following the news coverage, and I remember there was one night in particular, like a Thursday night, a Packer game, and I was at one of the rallies [for justice], and there was this huge confrontation between the police and protesters within the confines of City Hall, and I was like, “I can’t believe that this is happening right now in Milwaukee. This is insane.” And I watched the news that night, and there was like 15 minutes of coverage of the Packer game, and like a 20-second blip on the news about the protest. And it was very well written about in the Journal Sentinel and in the papers there, but like visually, on the nightly news, there were just quick blips. There was a lot more nuance and context to the story, so I started filming with the family, and getting to know them, and just got pulled in that way. HtN: Speaking of the family, Nate Hamilton – Dontre’s brother – and Maria – his mother – are both such wonderful advocates for justice now. Before they were just leading their lives. How difficult was it for you to convince them to let you film them? EL: You know, at first I don’t think they knew who I was. I went up and talked to them at one of the first major rallies that they did and asked if it was OK to film them, and I think they were a little bit confused. I think they figured I was just another news camera and were like, “Why are you asking? Sure! That’s fine.” But I kept coming up and I think they started to notice that I was just by myself. And then I asked them for a sit-down interview and then once we got that first interview, that’s when they started letting me into their home, and kind of filming their daily life. I think, initially, from a filmmaking perspective, they didn’t really understand what was interesting to me. They’d tell me about rallies that were coming up, and I’d be like, “No. What are you doing today, outside of this rally?” So it took them a while to understand what I was doing. I went to Gary, Indiana, for Maria’s high-school reunion. You know, I was trying to show what it’s like for a real family that’s thrown into the middle of this situation. They still have a life to lead on top of what they’re doing. A lot of people had misperceptions of what the Hamilton family was about, just assuming that these people didn’t have any money, didn’t work, and were like paid professional protesters, and that was the furthest thing from the case. Nate is a father of three. He was going to school full time and working full time in the contracting business. So we just wanted to provide perspective about what these families were like. HtN: I’m sure, in some universe, there are people who earn – because you should never say never – money protesting, but a) where would that money come from, and b) there are legitimate reasons to protest without getting paid. So it would be great if we just got rid of that phrase. EL: You know, I’ve been to several protests, and I’m still waiting for my check. EL: (laughs) After making my film, I could use that check! HtN: Sure! Well, speaking of that, the film took you three years to make, right? Did you have some funding sources? Whether or not you did, what were you doing to earn your keep, simultaneously? You’ve got a life to lead, too! EL: Sure. Funding, I think, is a problem for everyone. We applied for a lot of grants. I came from more of video-journalism background, so a lot of my connections … I had done work for Al Jazeera, Vice News, The New York Times…so a lot of my connections were there, which is very different from independent filmmaking and funding. And so a lot of the early pitches I was writing probably sounded way more academic and technical than they needed to be. Anyways, long story short, we didn’t really do that well on funding the project. I will say that the Milwaukee community was very supportive. We received two grants from Milwaukee Film and then there were some private donors, there in Milwaukee. But to make up the gap in what was actually needed to make this film happen, we really relied heavily on Milwaukee film collaborators. The Milwaukee film community is very small, but it’s very collaborative, and everyone is excited to work on everyone’s project. Whether that’s gear rentals for free, or just donating their time for free. I mean, there are so many people who came out and donated their time for free on this project. And to raise hard costs, I worked as a freelance DP [director of photography], so I was on the road quite a bit, just making money to put back into this project. HtN: Speaking of your work as a freelance DP, you shot parts of another film I’ve reviewed, Almost Sunrise. What parts of that film did you shoot, and what was it like working on that movie? EL: It was really great to meet [director] Michael Collins. It’s kind of just by chance. They were coming to Milwaukee to film, and he reached out to Milwaukee Film, and asked who he should connect with to have boots on the ground in Milwaukee, because their main subjects were from the Milwaukee area. They just wanted to have someone on call, in case they needed something. I did some still photography for them, and then I filmed a press conference, and I filmed a little bit there, and then I filmed a segment with Katinka, who’s in the film. She’s at the university, and there’s a gallery exhibit, and it comes at a kind of critical point in the film, where it’s the last act, and [subject] Tom is at the retreat, and it’s cutting back and forth between Katinka doing this exhibit and Tom. And then I filmed a couple of their pick-up interviews and scenes with [other subject] Anthony and Tom which were used at the end of the film, in the credits, the kind of b-roll stuff. It was a great experience, working on that. Michael was actually really helpful, as far as providing guidance for me. I’ve never been down this route before, so he was kind of pointing me in the right direction and connecting me to the right people to talk to. HtN: There are a lot of other films right now on similar subjects. Because this kind of thing has been in the news for many years now. Police killings of unarmed African-American men is a problem, nationwide. Have you seen any of the other films? There’s one at SXSW right now, Stranger Fruit, or a film like Do Not Resist. I’m curious how you see your work fitting into that context? HtN: I love that movie! EL: Yeah. I love that movie, too. Brad [co-director Brad Barber] is a great guy and a great filmmaker. And I tried to connect with a lot of the people who have made films in this genre, and I think they’re all pretty unique, and it was encouraging to see the amount of films in this genre, and Peace Officer had some success – it won at SXSW when it played here – and Do Not Resist won Tribeca last year. But I think our film is very different from a lot of these other ones. I haven’t seen Stranger Fruit, I haven’t seen Whose Streets?, but I’ve read enough about them that I think our film stands out from a lot of these. Our film is unique in that it’s being told from a family’s perspective while this is happening, while this case is unfolding. It’s not looking back at the case. You’re sitting there with the family as they’re going through the legal process, trying to find justice and reset the narrative in the media. It’s not one of these reflective docs. And it’s really taking a look at mental-health issues, related to policing, as well. It touches on that, and that’s one thing that I haven’t really seen in films about policing. There are 1200 people killed by police a year, and roughly a quarter of those have a diagnosed mental-health illness. HtN: Which is a good segue into my next question. I really liked your inclusion of Ed Flynn, the Milwaukee Chief of Police, who – whether one agrees with him or not – seems like a thoughtful individual. And he says something that I agree with, when he laments the fact that as a society, we always turn to the police department to solve all of the ills. He says, “There isn’t a single problem in America that can’t be solved by greater training for the police.” He says that sarcastically. And it’s true! Right? Whatever one thinks of police brutality, it seems a little ridiculous to put every single problem in the country on the police. So, how did you get to work with him? He has things to say about mental illness, and wants to frame this purely as a mental-illness issue. I disagree with that, but nevertheless, he worked with you, he trusted you. Describe that relationship. EL: When Flynn says that, he’s not entirely wrong. He makes good points. He wants to frame it completely as mental health; I think he’s ignoring some parts of it. But it is something that needs to be looked at. Milwaukee is a violent, high-crime city, unfortunately, but why is there high crime? People with economic resources and hope do not commit crimes, you know? There are other things going on in Milwaukee that need funding. HtN: Well, they might commit crimes, but not these kinds of crimes. EL: Exactly. That’s true. So Milwaukee’s response to high crime has been more funding for the police. I think it was two years ago that they increased the overall city budget of the police department by 55%. And that’s going to get you more law and order, but it’s not going to fix these problems. It’s going to get more people in jail, more families broken up, and perpetuate these issues. And if a quarter of people being killed by police are…if police are having to respond to these mental-health-related calls, and it’s not ending up well, because police don’t have that training, then police should get that mental-health training, but we should also be putting more funding into mental-health resources. So it needs to go both ways. EL: It helps short term. HtN: It helps short term, but it has nothing to do with the long-term solutions. So I hear you. Speaking of these long-term issues, you make the choice to include the story of Michael Bell, who was a white kid shot by the police. Talk about the decision to do that. EL: So Michael Bell was…that’s kind of one of the reasons we got into the story, as well, because Dontre Hamilton’s case was unique in that it was the very first case in the country to be tested under an outside investigation. So typically what would happen – it doesn’t happen so much anymore, even though a lot of states don’t have this law, just because there’s so much scrutiny on the process now – but what would happen and what could happen is that if an officer killed someone, his own police department could investigate the crime. And that’s what happened in Michael Bell’s case. He was killed by police, and the Kenosha Police Department investigated themselves, and within 48 hours they determined that, “Hey! Nothing wrong here!” They hadn’t done forensics, they hadn’t talked to eyewitnesses, and it was just insane that a family would not get fair and due process in something like this. So we included Michael Bell’s story because we wanted to point out the fact that there is a hope for an independent investigation in Dontre’s case. And this is a law that is being tested here. And I think that Milwaukee was a microcosm of a lot of discussions that are being held in America right now. So, during the course of this, there’s this outside investigation for Dontre, there was mental-health training for police, which we didn’t really have time to include in this film, but body cameras were adopted in this process. And then there’s collaborative-reform measure with the Department of Justice. So the Milwaukee Police Department has a long history of…they were actually just sued by the ACLU for thousands of pattern-practices of illegal searches, mainly focused on minorities. They were just sued for that. So there are a lot of issues with the Milwaukee Police Department, but they’ve been open to collaborative reform, and in changing some of this culture. We were trying to take a look at that. States are looking at collaborative-reform measures, including what’s happening in Milwaukee and how did it work, how did it play out, and is this building trust in the community or are there still issues? And Michael Bell’s father was an interesting character, because you can’t get around the fact that he is a white man, and he was a military man, and it’s not include in the film but he’s talking about how there are black and brown kids being shot down in the streets, and he was like, “I’m a white man who served in the military, and I couldn’t get anyone to listen to me. What do you think it’s like for these families?” And he also goes on to say something about how he was just another ignorant white professional who didn’t read the news because he found it too upsetting, and then he found himself in this position. HtN: It’s a parallel to Peace Officer, where the guy who founded the SWAT team having this come back. Final question: is Ed Flynn still the Chief of Police? EL: Ed Flynn is still the Chief of Police. Yeah, he’s still there. HtN: In spite of the no-confidence vote from the union. HtN: Basically, any disciplinary action taken against any office for whatever reason is bad, in the mind of this union. EL: Yeah, and that’s a problem. There’s an us vs. them mentality, and everyone has to look at the fact that there are issues here. You can’t say that there aren’t issues, or see it as an attack on police officers when someone gets disciplined. There’s got to be a line you draw … we ought to be collecting data on these shootings, which isn’t happening now. Just very simple things, where we can track trends with data and be aware of these blind spots, and just go from there. HtN: Well, I really enjoyed the film. Congratulations. And good luck with it. 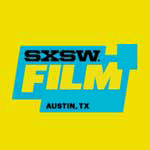 2017 SXSW Film Festival, Almost Sunrise, Brad Barber, Do Not Resist, Dontre Hamilton, Ed Flynn, Erik Ljung, Michael Collins, Milwaukee Chief of Police, Milwaukee Film, Milwaukee Film grant, Peace Officer, police shooting, police shooting unarmed black men, Police violence, shot 14 times in Milwaukee, Stranger Fruit, The Blood is at the Doorstep, The Ones Who Walk Away from Omelas, Tribeca, Ursula K. Le Guin, Whose Streets?